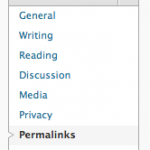 One of the very first things I do after installing Wordpress is set the site’s permalink structure. This is important for the reason that the URL stucture is permanent. If you decide you want to change the permalinks later, you risk breaking links of prior posts. 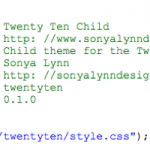 In this article, I’m going to document how I made a few simple changes to the default twentyten theme I’m using for sonyalynndesigns.com. The Wordpress Codex has a great article on how to create a basic child theme and explains what you can do with it. 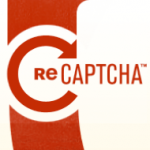 Enhance wordpress comments and block spam contact form emails by adding captcha to your wordpress website.